In nine seasons as coach of the Crimson, Ray Leone compiled a 44-14-5 record in Ivy League play. 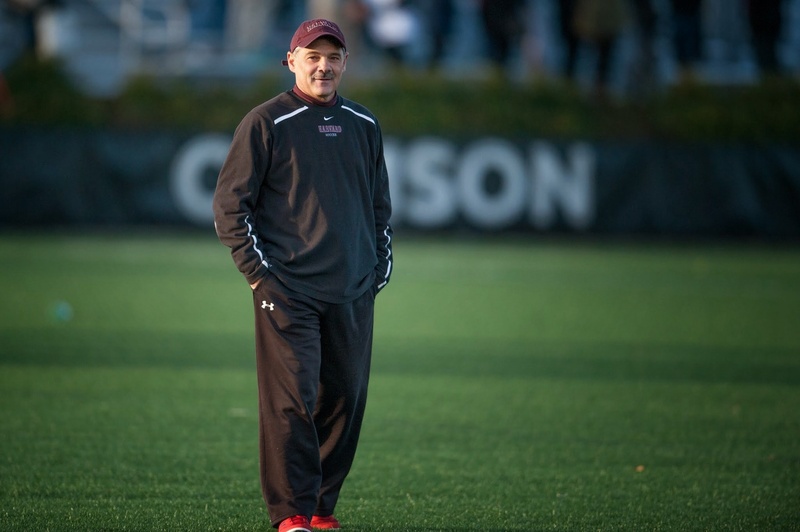 Ray Leone has resigned from his position as the Branca Family Head Coach for Harvard Women’s Soccer to accept a job as head coach of the University of Maryland women’s soccer team, the Harvard Athletic Department announced Wednesday. Leone had served as the headman for the Crimson since 2007. During his time at Harvard, Leone compiled a 90-49-18 record, including a 44-14-5 mark in Ivy League play. The Severna Park, Md., native led the team to five Ivy League Championships and consequently five NCAA Tournaments bids, along with an opening-round victory in 2014. He was named Ivy League Coach of the Year in 2014, and during his tenure he coached three Ivy League Players of the Year, two Academic All-Americans, and 38 All-Ivy selections—including 22 First Team picks. Before being named the fifth head coach in program history at Harvard, Leone was the headman at Arizona State, where he led the Sun Devils to a 60-45-14 mark in his six seasons. In 2007, he took over a Crimson team that finished 3-13-1 the year before, and his impact was felt immediately. Leone led the team to a 10-6-1 mark in his first season before bringing an Ivy League Championship to Cambridge a year later in 2008, the team’s first since 2004. During his playing days, Leone was a star at Severna Park High School and a three-time all-conference selection at UNC Charlotte. Afterwards, Leone became the head coach at Berry College and Creighton, starting the women’s soccer program at both schools, as well as Clemson, compiling a 132-58-13 record in 10 seasons prior to moving to Arizona State. Leone’s wife, Tracey, also resigned from her position on Wednesday, stepping down as the head coach of the Northeastern women’s soccer team. 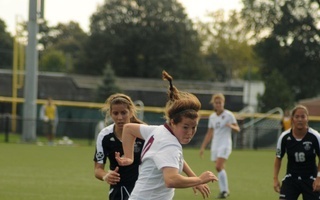 A former midfielder for the U.S. women’s national team, Tracey Leone worked as an assistant coach under her husband at Creighton, Arizona State, and for the Crimson from 2007-2009. Back home in Maryland, Leone will succeed Jonathan Morgan, who went 35-36-9 in four seasons with the Terrapins. Last season, Maryland won just one conference game, compiling a 6-12-1 overall mark in its second season as a member of the Big Ten. The Terrapins have not qualified for the NCAA Tournament since 2012, when they were still members of the ACC. According to the Athletic Department, Harvard will immediately begin a nationwide search to find Leone’s successor. —Staff writer Stephen J. Gleason can be reached at stephen.gleason@thecrimson.com.